If not in stock, usually ship in 2 days. Sato Racing Rear Sets for the 2013-2018 CBR500R/CB500F are precision CNC-machined of billet aluminum with stainless steel hardware. 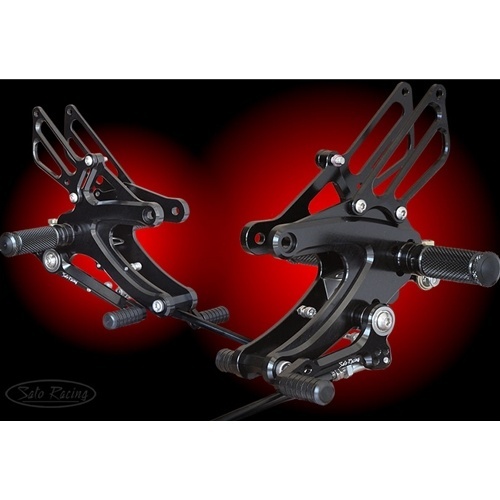 Provide adjustable foot peg positions to put your feet higher and further back than stock.